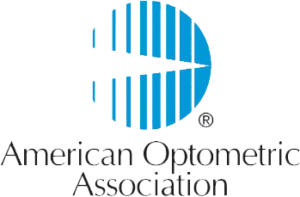 The American Optometric Association and our state association, the Alaska Optometric Association (AKOA), speak our language, share our common bond of delivering excellent patient care, and have a loyalty to our profession. Being a member of the national and state associations means we belong to a really large family. They have maximized patient access so that patients can use the insurance they have to see the doctors of their choosing. Optometry is a state regulated profession. The AOA and AKOA work hard to increase our scope of practice and expand the care that is available to patients. Furthermore, belonging to the national organization helps unify our goals and interests across the various states. The next generation of optometry is about innovation, adaptation, and speed of change. Practice growth means we are positioned now and in the future for success. The AOA/AKOA provides a wide array of services and information allowing us to be aware of any changes, and to help us adapt in this forever-changing world of healthcare. We have instant access to innovative tools, optometric specific resources, skill-enhancing continuing education, and practice experts to help us build our practice. Not only do we have access to helpful information for our doctors, we also have it for our staff! Trained staff will enhance patient satisfaction and increase the potential of a healthy practice. The Paraoptometric Resource Center supports both practice growth and efficiency by giving us an edge in the rapidly changing optometric profession. Having access to other professionals expands our career while helping others. Networking is essential in any profession because it allows advancement of career. It also helps us gain clinical knowledge, new experience, and discover the best practices. This means we make a difference in our neighborhood and beyond. By participating in specific AOA programs, such as InfantSEE, we expand patient education and protection. We increase public awareness on the importance of eye care to overall health.